B). It's a good time to reflect on how we as "woke" conspiracy type folks need to talk to the masses. Beau knew that we needed someone rational to help explain Meryl's beliefs before her head pops off and floats off into an alternate reality! 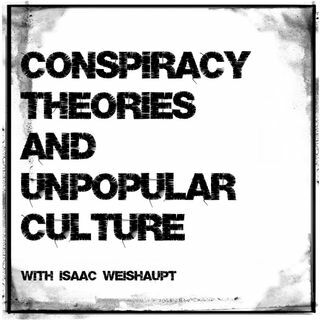 Lucky for us, today we got the best: Isaac Weishaupt, creator of the Illuminati Watcher website, author and host of the Conspiracy Theories and Unpopular Culture podcast. We talk with him about a whole lotta stuff including ritual sacrifices, the occult practice of channeling spirits and magik, why you may run into Tupac at Target, satanic goats and mind controlled sheeple, lol!